Major U.S. festivals are getting so homozygous that two of the biggest ones have the exact same headliners this year, but there are still very cool, very stacked U.S. festivals happening on the fringes, though maybe not outdoors in giant fields and parks. One of those is the increasingly incredible Psycho Las Vegas. What started as more of a strictly metal/hard rock festival has been expanding into a more all-encompassing, multi-genre fest (without losing its unique identity), and that’s never been truer than with the festival’s 2019 lineup. They’ve already announced some great non-metal acts that fit the dark, psychedelic vibe of the fest like Godspeed You! Black Emperor, The Black Angels, Grails, Cold Cave, The Faint, Tobacco, Black Mountain, Nothing, Bad Religion, Glassjaw, and more, and they’ve just added their biggest crossover act yet: Beach House! 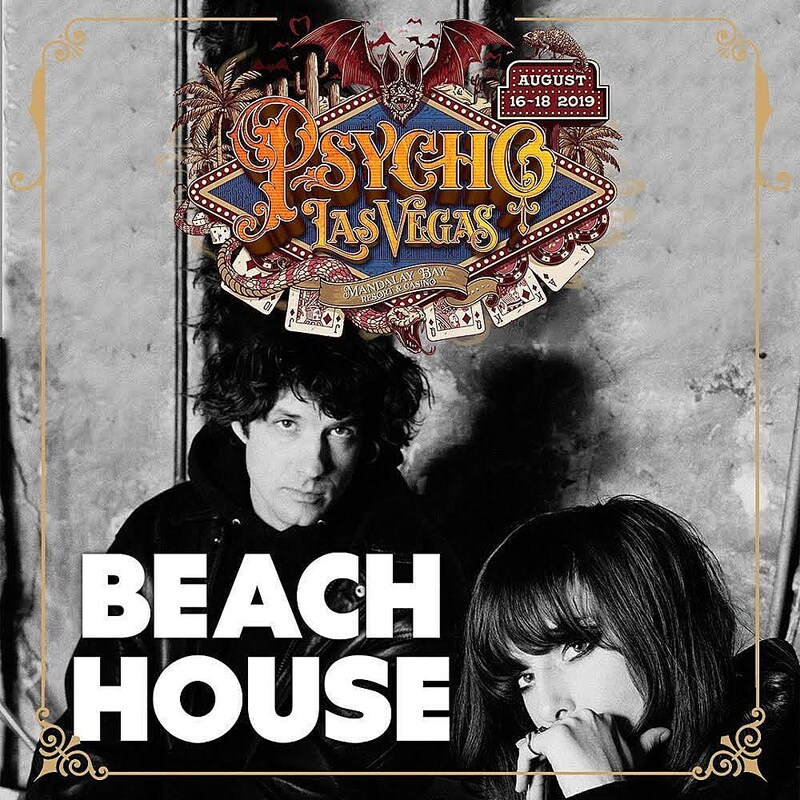 The idea of seeing Beach House at a fest like this sounds pretty awesome, and it’s making us wonder what other surprises Psycho has in store this year. There are still more acts TBA. Psycho Las Vegas also just added Mark Lanegan, Full of Hell, and Mork (who will be making their US debut at this fest), and other previously-announced bands include Deafheaven, Power Trip, YOB, Carcass, Clutch, Electric Wizard, High On Fire, Old Man Bloom, The Crazy World of Arthur Brown, The Obsessed, Uncle Acid & the Deadbeats, Triumph of Death (Tom G. Warrior’s band who play Hellhammer songs), and more. Psycho Las Vegas happens August 16-18 at the Mandalay Bay Resort & Casino. Tickets are still available. Check out the current lineup below and stay tuned for more additions.